The communication protocol used is similar (compatible) with the MiniSSC II servo controller and any software written for it. 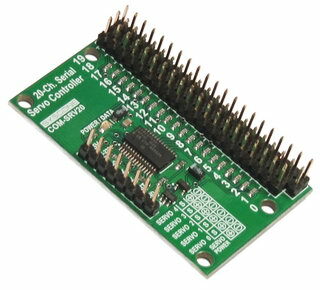 The COM-SRV20 servo controller is less than half the size and price of similar servo controllers. 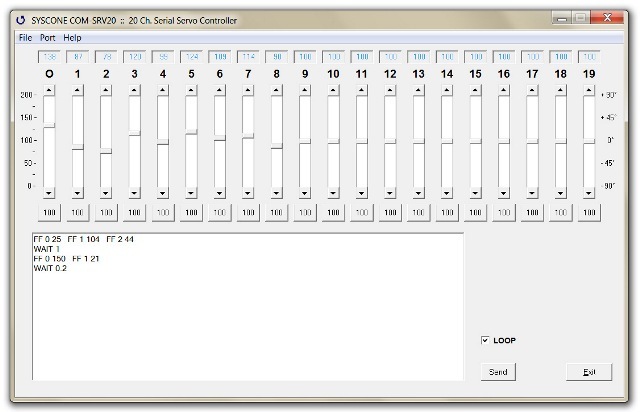 This means that the servo controller is an ideal solution even if you need to control few or more servos. 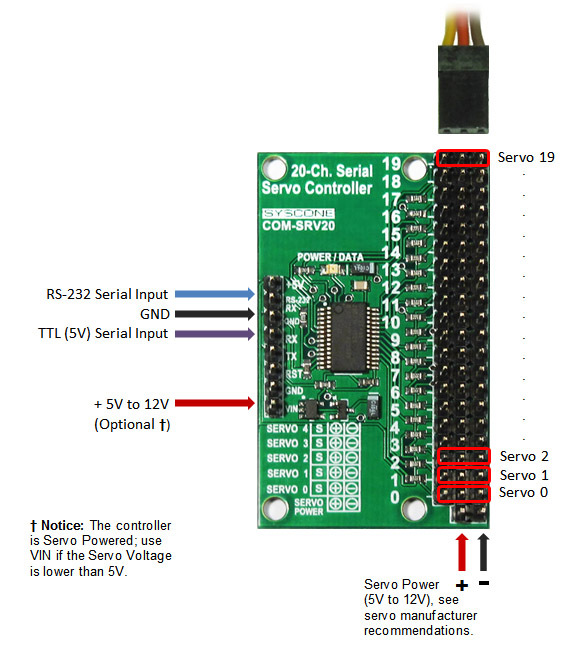 The interface to the servo controller is a standard RS-232 serial port with +/-15V levels or TTL-levels (5V or 3.3V Logic Levels), using 9600b/s baud rate. 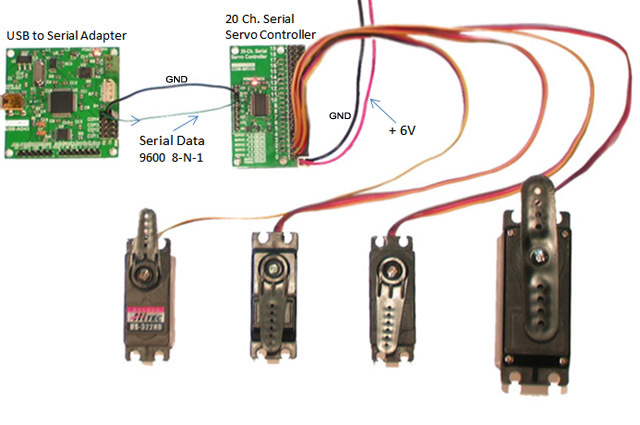 To command a servo to a new position requires sending three bytes at the serial rate of 9600b/s baud, no parity check, and 1 stop bit (known as 9600N1). These must be sent as individual byte values, not as text representations of numbers as you might type at a keyboard. 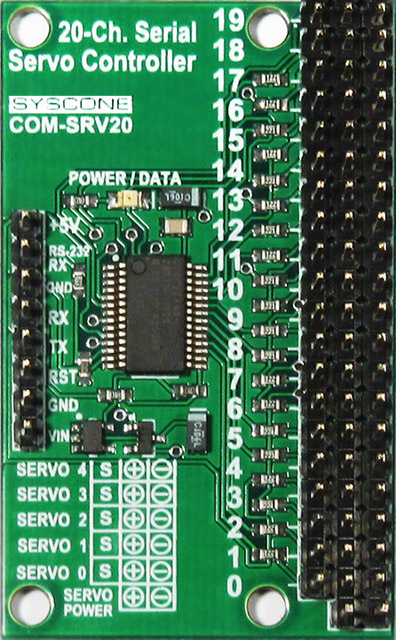 The Power/Activity LED on the COM-SRV20 board it lights steadily when power is applied to the board and stays on until data is received, when the data is received the LED will start blinking. Servo type supported: Futaba, Hitec, T-pro, EXI, etc.